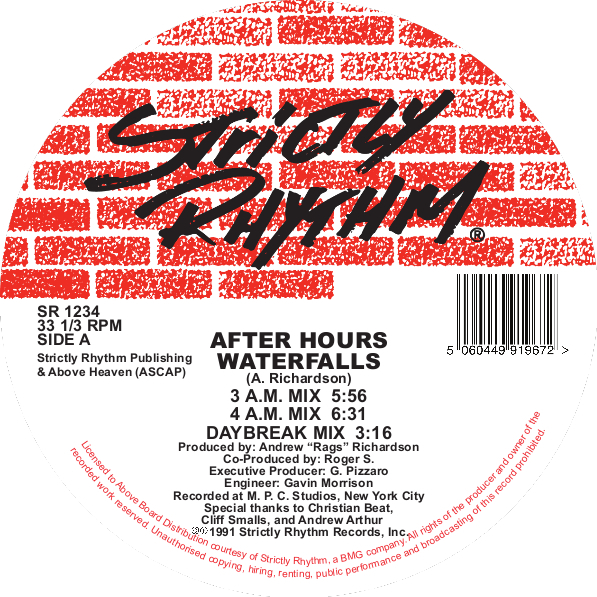 Another cornerstone record from the mighty Strictly Rhythm catalogue, 'Waterfalls / Feel it' is an essential example of the deeper, more melodic style of house that emanated from NYC / NJ in the early to mid 90's. Originally released in 1991 the EP features the production style of Andrew 'Rags' Richardson with some co-production assistance from one Roger Sanchez. It perfectly encapsulates the style of music that would be played at clubs like the Loft, Shelter, Zanzibar and beyond, a more emotive and soulful strain of House that gives a respectful nod to it's Disco roots. 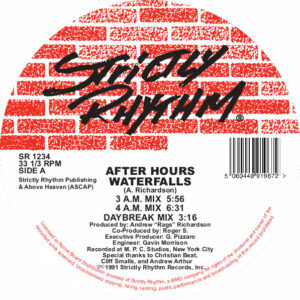 'Waterfalls / Feel it' has long been the toast of House aficionado's and is most definitely a record that will still have people rushing the booth asking 'what's this?!'. An evergreen slab of wax indeed. Essential sounds for the heads. 'Waterfalls / Feel it' has been skilfully remastered from all original master sources and fully licensed and reissued officially for 2017.